Physical activity is not just about improving our health. The stark fact is that unless we move our body we can’t be healthy. There is plenty of clear evidence for this. According to the WHO, the fourth most important risk factor for an early death is our sedentary lifestyle; meaning that the lack of physical activity leads to the death of 3.2 million people. But that’s not all; from the onset of adulthood, a sedentary lifestyle exponentially increases the likelihood of suffering from chronic diseases. But why does it have such a huge impact on us? Why is it that my usual habit of collapsing onto the sofa as soon as I get home and living on a diet of chips can be so bad for me? As we’ve said so many times before, if we want to understand the impact of physical activity on our health, we have to go back and look at it from the standpoint of evolution. 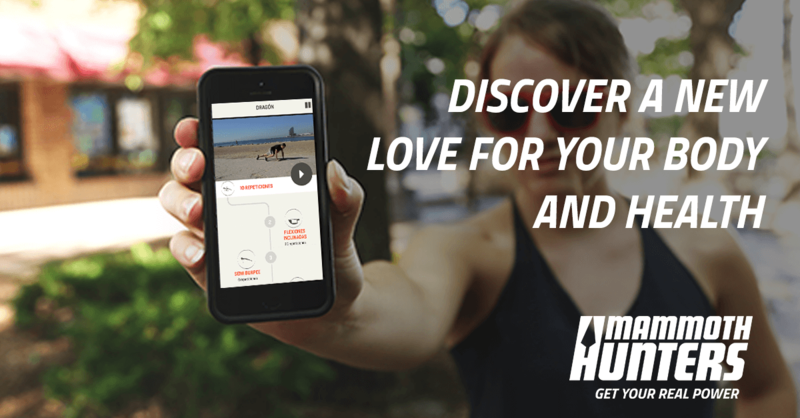 From this evolutionary perspective, movement has always been a part of us and has ensured our survival. In fact, compared to other primates, we humans have undergone strong selective pressure related to our capacity for movement. To cut a long story short, the climate changes that occurred during the development of homo sapiens, together with the very high demands for energy made by our brains, imply that we had to increase the hunting territory we needed to ensure our survival. At that time, physical activity was so bound up with success in finding the means of survival that we evolved to be very good at it. We developed a better ability to regulate body temperature than any other mammal. Our ability to sweat is four times greater, so we’re able to keep on the move for many hours at high temperatures. Our toes became shorter to reduce energy consumption as we ran. Our metabolism developed great flexibility in supporting us while active. All this just so that we could follow our prey for longer and expand our hunting territory. We also know that between 40-50% of our ancestors’ body mass was muscle and 10% fat. So the ratio of muscle to fat in the human body at that time is only comparable with that of elite athletes today. And you can’t help noticing some quite high levels of adipose tissue when we are compared with other mammals. These ratios are no accident. As our brains grew, we had to feed this organ that needed so much energy. That required much more hunting territory to supply our food, and therefore we needed more muscle. Once we found the supplies we needed, we had to ensure a good storehouse for times of famine and for that we needed an adequate supply of fatty tissue. 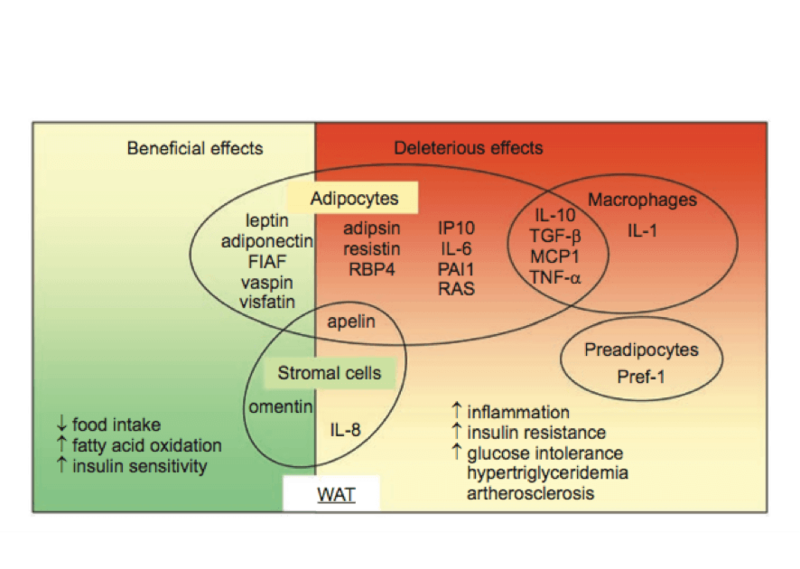 The key to this process is to understand that adipose tissue is really an endocrine organ which is capable of producing pro-inflammatory substances and metabolic disruptors that interfere with the absorption of nutrients for other organs (see the figure on the left.). So too much fat can make you unwell. But how did this happen? Did we really develop an inflammatory tissue that causes disease? Yes, because at the same time, we developed an antidote – An adequate supply of muscle. 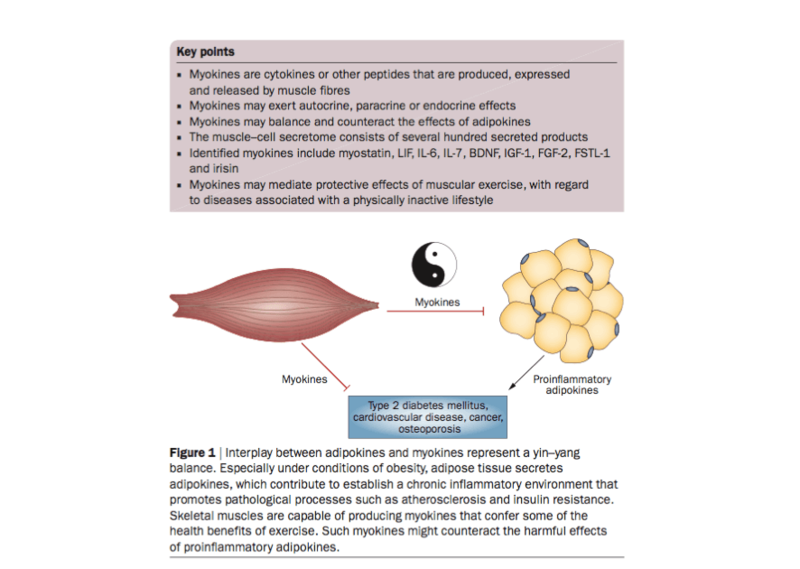 Muscle, as the diagram shows, is an organ with a high capacity to block the inflammatory potential of adipose tissue. 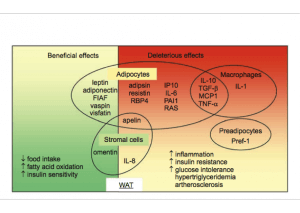 In fact this is very logical, because it means that as we move about to hunt food we generate an anti-inflammatory condition that counters the inflammatory effect caused by food and increasing fat. Currently we don’t move around enough and we eat food that makes us fat and causes inflammation. We’re carrying a lot of fat and not enough muscle to counter the fact that our bodies can easily get into an inflammatory state that can show up in diseases as diverse as diabetes, allergy or depression. So physical activity isn’t just a way of staying healthy, but is essential for us not to fall ill! 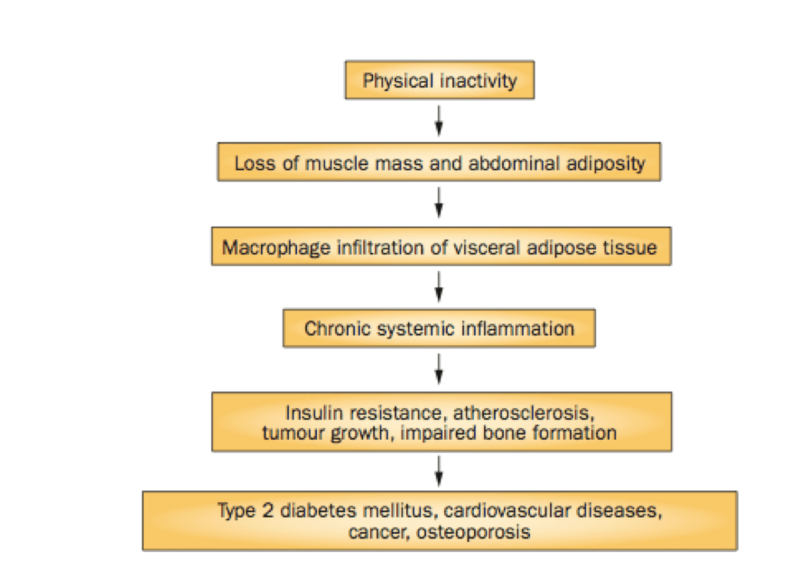 I hope I’ve been able to get over to you some of the reasons that make physical activity so essential for us. And now that you’ve reached this point, it’s time to just stop reading, pick up your spear and go off to hunt a mammoth! See you in the forest.